Hemp Seed Oil works wonders for the skin. As of 2016 more of the products produced by Love Light Laughter ~ A Healing Studio are made with Hemp Seed Oil. Hemp oil is a great natural moisturizer and it works great in homemade moisturizing creams, lip balms, and so on, especially if you have dry skin or lips. It prevents moisture loss and maintains moisture balance. It’s rich in vitamin D so it helps prevent aging of the skin and makes it soft, smooth, and hydrated. 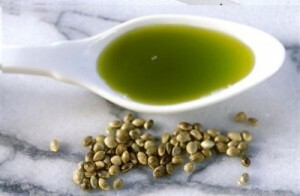 Hemp oil also helps alleviate skin conditions such as psoriasis, eczema, acne, and dry skin. If you’re dealing with these conditions you should include it in as much of your homemade recipes as you can. The next product to make this change is the Vegan Lip Balm….once the currently inventory has been sold the new batches will be made with Hemp Seed Oil!!! Our Hemp Lip Balm will be great for protecting your lips from the negative external effects such as the sun, wind, cold, and pollution. And since the winter is here, making this simple lip balm is a great way to prevent chapped lips that most of us deal with during winter.